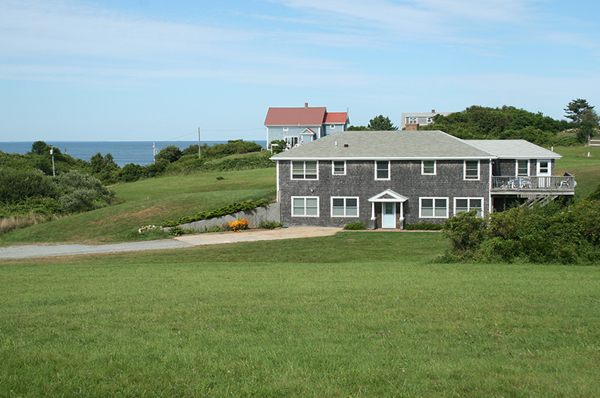 Block Island’s proximity to New York, New Jersey and neighboring New England States makes it an easy and ideal vacation destination. Here the lure of the ocean beckons you to miles of pristine beaches and breathtaking seascapes. 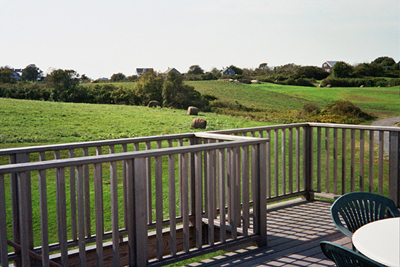 The Meadow View House is a spacious condo within the peaceful meadows of the Rose Farm. 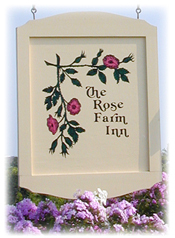 The expansive 20 acres of Rose Farm feels far away from the ordinary yet it takes only a few minutes to walk to town or the beaches. If you like to walk or bicycle a car is not even necessary. Guests enter by an outdoor stairway to a sunset view deck and foyer with ample space for a play area and beach gear. From every room oversized windows look out over this naturally beautiful setting. The large living area has a comfortable living room with fireplace and opens to a well equipped kitchen with a sunny dining area. There is a master queen bedroom with a half bath and a queen bedroom, twin bedroom and full bath. Amenities include an outdoor shower, Direct TV, washer/dryer and gas grill. Maximum occupancy is six people.